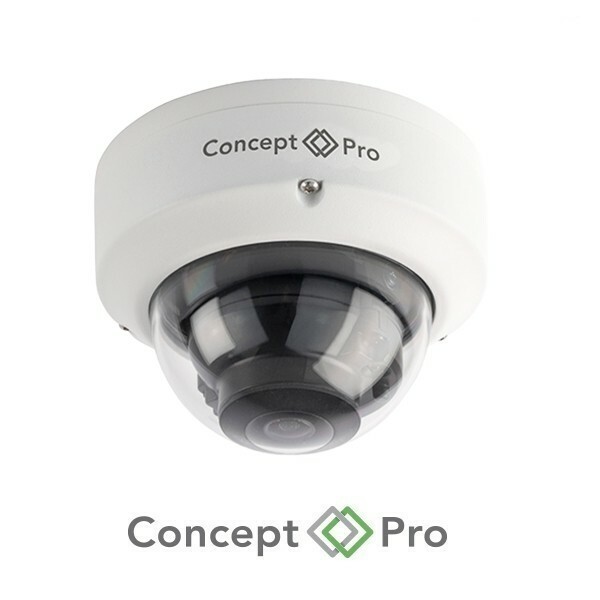 The CVP5325DNIR-IP2M/2.8 model is a highly-engineered network camera that has been designed with the user in mind. 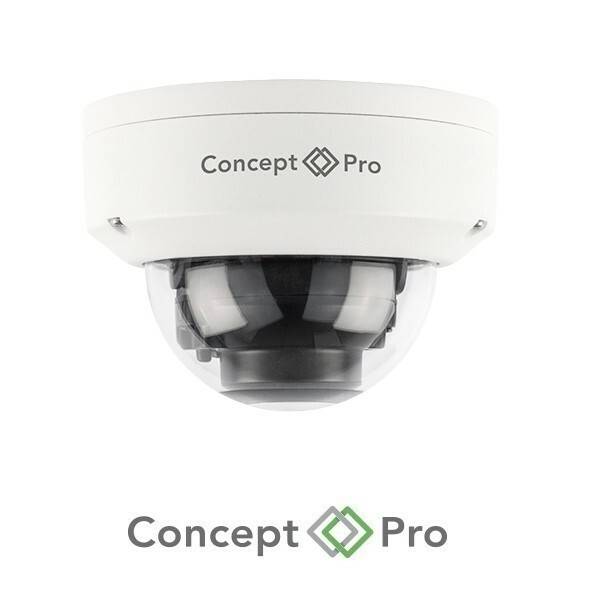 This vandal-resistant external compact vandal dome features a 2.8mm fixed lens, smart infrared LEDs with 20m illumination range, and provides crisp 2-megapixel video at real-time frame rates. 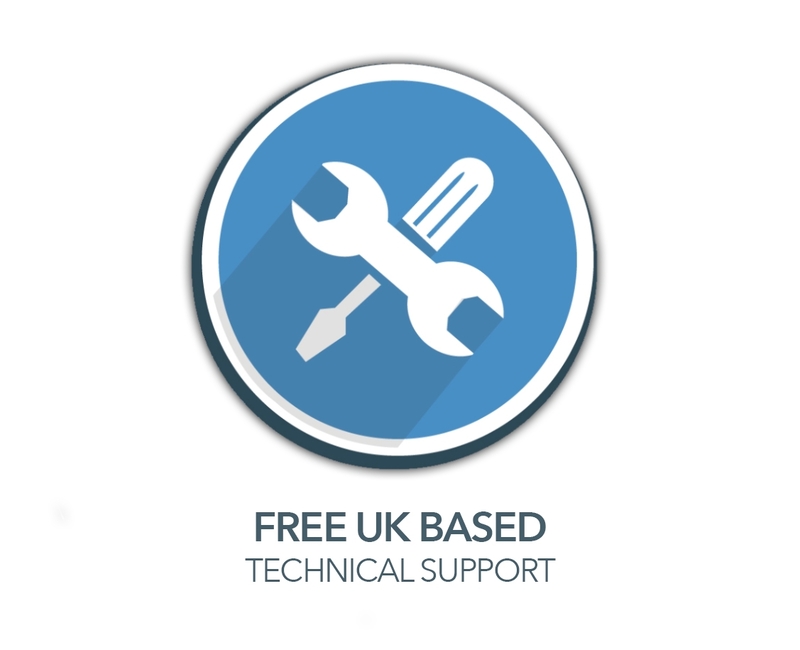 Designed specifically for optimal connection with the new Concept Pro VUHDIP range of network video recorders, this camera provides the latest in IP video features, including VBR+ smart video codec, H.265 support, true wide dynamic range, and automatic region of interest detection. All cable connections, including Power over Ethernet and power, are terminated inside the camera housing to eliminate the need to accommodate cabling for unused features. With the combination of the more efficient H.265 video compression codec and VBR+ smart codec, this camera can help reduce bandwidth and storage requirements by up to 85% compared to H.264, constant bit rate video streams (performance varies according to environment and settings). 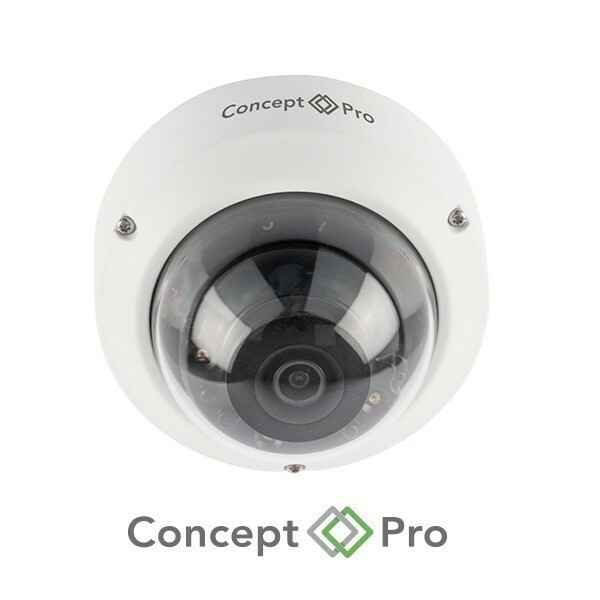 When connected with the Concept Pro VUHDIP range of network video recorders, this camera can be configured to enable intelligent video analytics detection, including line crossing, area entrance/exit, and loitering detection.